Micromax is one of the leading Indian brand in the current smartphone race. The company is getting a huge success with the Canvas series and managed to sell 1 Million Canvas devices. There current flagship offering the Canvas HD is also getting high demand like Canvas 2. So further expanding their Canvas series they are launching a new device called the “Canvas 4” The are teasing it up on their official Facebook page. The model number is till to be disclosed. It may come with A92 as model number which is listed on FTP. So what we expect the latest Canvas 4 features would be. 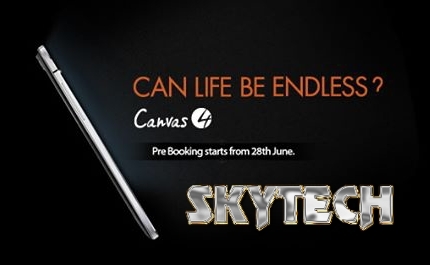 The Pre-Booking of the Micromax Canvas 4 starts on 28 June. The price is expected to be around Rs. 18,000. Let us know what you think about this in the comments below!